Get Help Through The Right To Buy Process. Own The Home You Have Created From Being A House. An End To Your Ongoing Rental Payments. When The Mortgage Ends Your Payments Finish. If you are wondering how to buy your council house, then we can help. You go about it by firstly applying to purchase your council property through a housing scheme known as the Right to Buy (RTB) scheme which as of the 2015 budget is looking to be extended to include housing association tenants as well as council tenants. Once the council or association say you can apply to buy your home then you need a mortgage - that is where we fit right in. The right to buy scheme works by offering a discount against the value of the property which is calculated based on the length of time you have been a tenant with a public sector landlord, the type of property you are buying and the estimated value of your property. Together these factors can work out to be a significant discount; a discount which if you are planning on using a mortgage to buy the property can be used as the deposit needed for the mortgage lender often without requiring any contribution of your own deposit. This means that buying your council house and owning your own property can be a viable option without having thousands of pounds saved in the bank. The right to buy your property is a wonderful opportunity particularly for those who aspire to home ownership, however, a decision to purchase a property should never be taken lightly, especially when you plan on taking out a significant commitment like a mortgage to do so. There are a number of things to consider as buying a home can bring added responsibilities. Getting an idea of the possible monthly repayments you might be facing is important. Complete our short straighforward on line enquiry form for a no obligation free quote or contact the office on our mobile friendly number 0333 003 1505 or free phone on 0800 298 300 to speak to our adviser team, who can go through the ins and outs with you, so you have the facts and figures and help you decide whether or not you feel buying your council house is going to be an affordable option. If you do not have time to speak now fill in the 1 minute online application form at the top of the page and one of our specialist advisers will call you back at a time convenient for you. Apply for RTB papers: First things first are to establish the figures and details you are going to be faced with. If you apply for your right to buy with your council, if it is accepted you will be issued with your RTB papers. These will document the council valuation, the discount you are to be awarded and also crucial details in connection with the property type and construction. 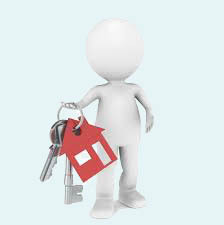 All necessary information if you need a right to buy mortgage to purchase the property. : A decision in principle (DIP) or sometimes referred to as an accept in principle (AIP) is a provisional accept from a mortgage lender and indicates that you might be able to get a mortgage. Getting a provisional accept from a lender can be a tricky one, in particular with RTB mortgages as the criteria that is acceptable varies from lender to lender. Everything from your previous adverse credit to the construction of your council house will play a role. To save time and possible unnecessary costs in your process, approach a knowledgeable company like ourselves to get the leg work done for you and select the mortgage provider most suitable for your individual needs and circumstances. Purchase your council property: Once you have got the first two hurdles sorted you can submit your application to the mortgage lender for it to be assessed, if everything is acceptable for the mortgage provider your right to buy mortgage will be offered. At this point the solicitors you have appointed will get into action and with the finance you required to purchase your council house all in place will finalise the purchase from your local council and you will be a proud owner of a property, no longer a council tenant. How to buy your council house can be broken down into a few simple steps but navigating the process is often confusing at times throughout the process, most commonly when it comes to getting your right to buy mortgage. Having an experienced adviser with extensive knowledge of the RTB scheme can prove invaluable. 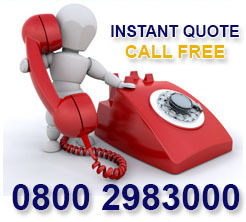 If you would like a free quote for a possible right to buy mortgage contact us on 0333 003 1505 (mobile friendly) or 0800 298 3000 (free from a landline). How to buy a council house in Scotland, is a question that needs to be considered now as the right to buy your Scottish council property will no longer be available from the 1st August 2016. Currently the scheme is very similar to purchasing a council house in England and there are a number of lenders offering competitive interest rates for people looking to buy their council house in Scotland. There is currently a notice period in place which will allow you to apply for and purchase your council property if eligible until 31st July 2016. It is key to remember that a number of lenders will allow you to use the council discount as a deposit for the mortgage which means that you might be in a position to buy your council house if you are in Scotland sooner than you think. 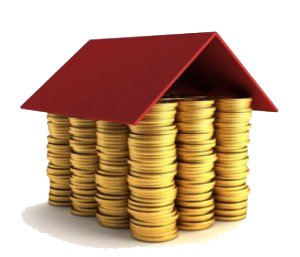 You will need funds in place to cover other costs involved with purchasing a property such as solicitors` costs and possible mortgage fees so considering your options now is important if you feel you may wish to take advantage of the Scottish Right to Buy before it is no longer available. 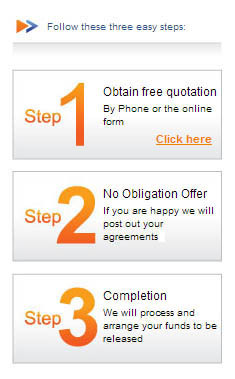 That way you will have time to save what you need and take advantage of the discount being used as a deposit. If you have the option to buy your council house, home ownership doesn`t necessarily have to be a pipe dream for the future. If you would like to discuss your options and get an idea of the rates currently available, please contact the office as soon as possible on 0333 003 1505 (mobile friendly) 0800 298 3000 (free from landline) to speak to a qualified adviser, you might be surprised to find that your mortgage payment could work out cheaper than you are currently paying on your council rent. Whilst the ability to buy a council house may not be available for those living in Scotland for much longer, there is still the possibility for you to consider buying your council property or housing association property if you are living in Wales. How to buy a council house is slightly different in Wales which is why it is important to fully understand how it works and whether you would be eligible to purchase your council house. The Welsh Right to Buy scheme is available to secure tenants of local authorities and assured tenants of registered social landlords, often known as housing associations who had previously moved from their homes with a local authority normally in a previous stock transfer. If you are unsure if you fall into one of these categories you can contact your local council and they should be able to clarify how you can buy your council house. Just like when buying a council house in England, the longer you have been a tenant the greater the discount you will be rewarded with. The difference comes in when you consider the maximum discount offered, in Wales if you are eligible to buy a council house the maximum discount you might be offered is £16,000. The qualifying period for the discount can include time spent in different homes provided they were also eligible, meaning that you could already qualify to buy a council house. As Right to Buy mortgages are seen by many mortgage lenders as a specialist product, if you have had previous adverse credit it can restrict the number of lenders that might be available to you. 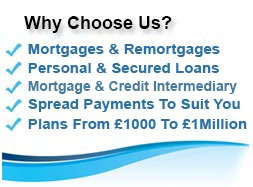 Fortunately, as we have extensive experience with both bad credit mortgages and Right to Buy mortgages we have access to a specialist Mortgage lender, Cheshire Mortgage Corporation who are willing to provide mortgages on a Right to Buy basis if you have had previous adverse credit, provided you fit with all other criteria. Cheshire Mortgage Corporation can consider a variety of adverse credit from missed payments, to defaults and CCJs and these could have been within the last year. They are also willing to provide mortgages to buy a council house if your property has been deemed as defective construction or an unusual property type, something that will often cause you problems if you are looking to get a Right to Buy mortgage on the High Street. With all of the factors that go into assessing a mortgage to purchase your council house, how to buy a council house might seem like a complicated question but it can all be broken down into understandable and manageable steps if you approach an understanding mortgage broker like ourselves. Some of the lenders, like Cheshire Mortgage Corporation can see the value of using an experienced mortgage broker and will only offer their mortgages through a mortgage intermediary. If you are looking to buy your council house with bad credit, you can save yourself time and possible unnecessary stress by contacting the office and speaking to one of our qualified advisers. Our advisers can use their knowledge and expertise to find the most suitable mortgage for your individual needs and circumstances, which could result in being a mortgage on the high street but if not you can be safe in the knowledge that we might have another option for you. Call the office at your earliest convenience on our free phone number 0800 298 3000 or mobile friendly 0333 003 1505 and ask to speak to an adviser. If you are currently a tenant of a housing association looking to buy your house you will have to apply through a scheme known as the Right to Acquire. Similar to Right to Buy which is the most important part of how to buy your council house, the Right to Acquire allows many housing association tenants to buy their home at a discount. You might be eligible to apply if you have been a tenant of a public sector landlord for only three years and could receive a discounted purchase price of up to £16,000 less than the value of the property. If your landlord is a housing association, council, the armed services or an NHS trust or foundation, you could be eligible to apply. There is some other criteria that must be met in connection with the property so it is always best to contact your landlord to see if you can apply to buy your home. As the current ways to buy a council house are likely to be extended to housing association tenants it is important to keep up to date with the discounts you might receive and whether you are eligible to ensure that you are taking advantage of the opportunity to own a property if you wish. If you would like further information on how to buy your council house or housing association property contact the office on 0800 298 3000 (landline) or 0333 003 1505 (mobile friendly) to make an initial enquiry and speak to a friendly and understanding adviser. 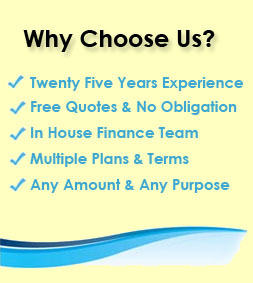 We compare loan plans to find you a low interest loan suitable for you circumstance you receive no obligation help through out the loan process helping you First Choice money for almost any purpose.